Feasting upon the words of Christ can happen at any time and on any occasion if we prepare our hearts. Our Heavenly Father loves us. He has provided a perfect plan for us to enjoy His blessings. 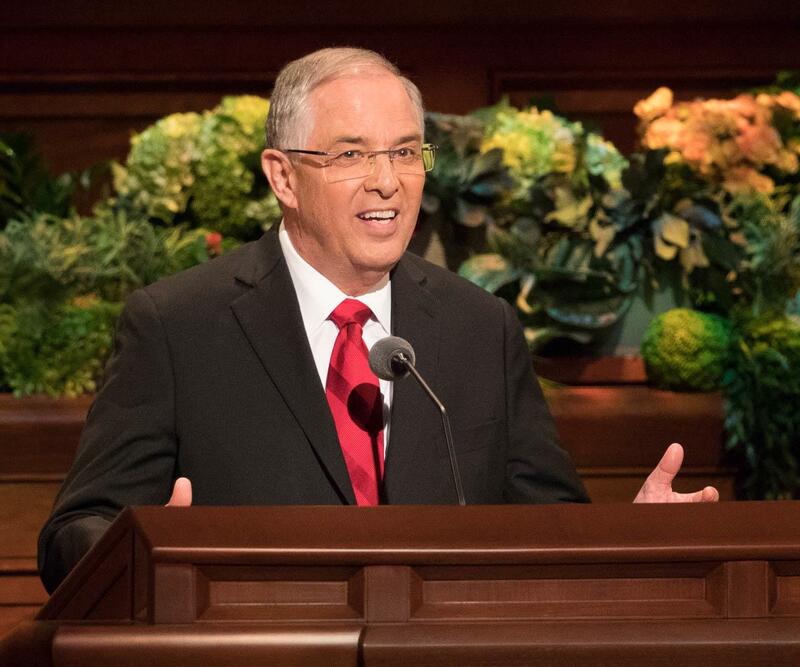 In this life, we are all invited to come unto Christ and receive the restored gospel of Jesus Christ through baptism, receiving the gift of the Holy Ghost, and faithfully living the gospel. 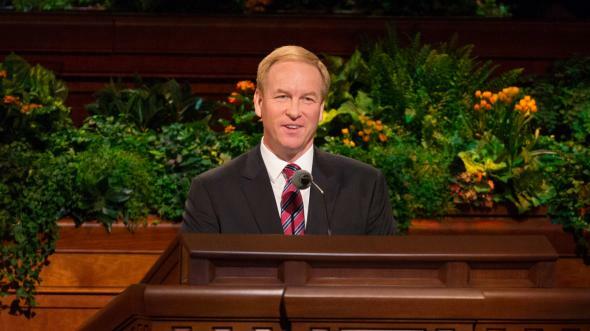 Nephi describes our commitment to be baptized as entering a “strait and narrow path,” and he reminds us to continue to “press forward with a steadfastness in Christ, … feasting upon the word of Christ, and endure to the end,” in order to receive all the blessings Heavenly Father has in store for us (2 Nephi 31:19–20). Nephi further reminds us that if we will “feast upon the words of Christ,” they “will tell [us] all things [we] should do” (2 Nephi 32:3) and that we will be empowered to overcome the “fiery darts of the adversary” (1 Nephi 15:24). When I was young, I thought that feasting was simply having a big meal with rice, sushi, and soy sauce. I now know true feasting is more than enjoying a delicious meal. It is an experience of joy, nourishment, celebration, sharing, expressing love to families and loved ones, communicating our thanksgiving to God, and building relationships while enjoying abundant, incredibly delicious food. I believe when we feast upon the words of Christ, we ought to be thinking of the same kind of experience. Feasting upon the scriptures is not just reading them. 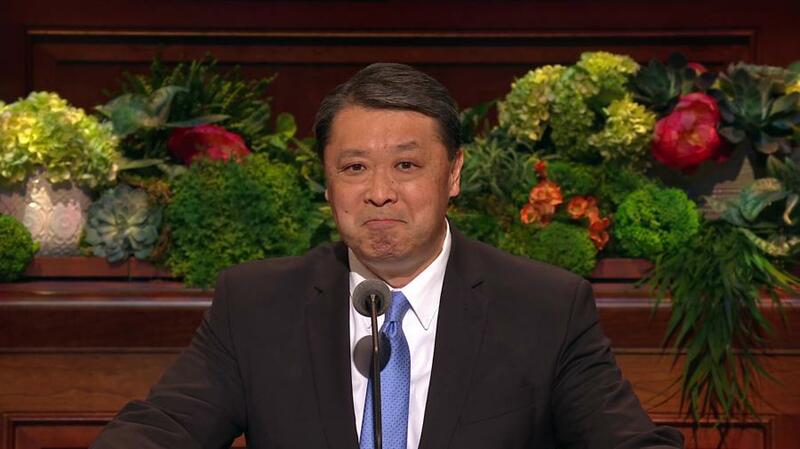 It should bring us real joy and build our relationship with the Savior. This is clearly taught in the Book of Mormon. Recall Lehi’s dream where he saw a tree “whose fruit [is] desirable to make one happy.” This fruit represents the love of God, and as Lehi tastes the fruit, “it was … sweet, above all that [he] ever before tasted.” It “filled [his] soul with exceedingly great joy” and is something he wants to share with his family (1 Nephi 8:10–12). When we feast, we will also likely find that the amount or kind of food we have may not matter if our hearts are filled with gratitude. Lehi’s family lived on raw meat in the wilderness, but Nephi described this difficult trial, saying, “So great were the blessings of the Lord” that “our women … were strong” and were able “to bear their journeyings without murmurings” (1 Nephi 17:1–2). Feasting sometimes involves experimenting and tasting. 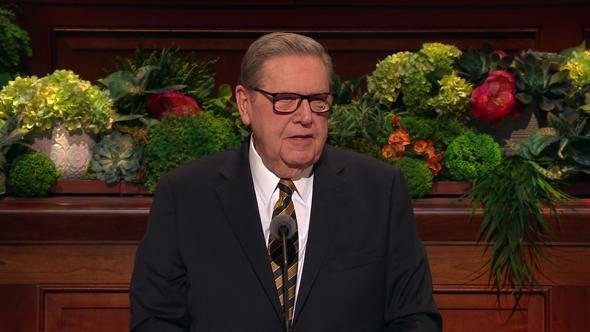 Alma talks about a good seed being planted in our hearts. As we experiment on it, we will realize the seed begins “to be delicious” (see Alma 32:28–33). The blessings of feasting upon the words of Christ are powerful and life changing. There are three in particular I would like to invite you to apply in your life. 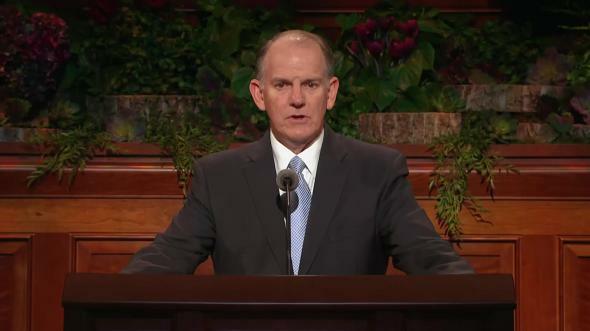 First, the words of Christ can help us “increase [our] spiritual capacity to receive revelation” (Russell M. Nelson, “Revelation for the Church, Revelation for Our Lives,” Ensign or Liahona, May 2018, 96) and safely guide us through our life. 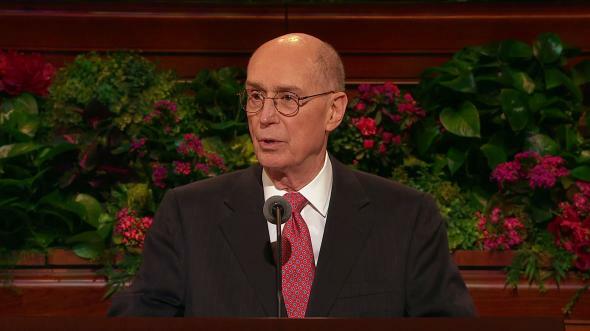 Mormon teaches that the words of Christ have “a great tendency to lead the people to do that which [is] just” and that they are more powerful than anything “the sword” can accomplish (Alma 31:5). 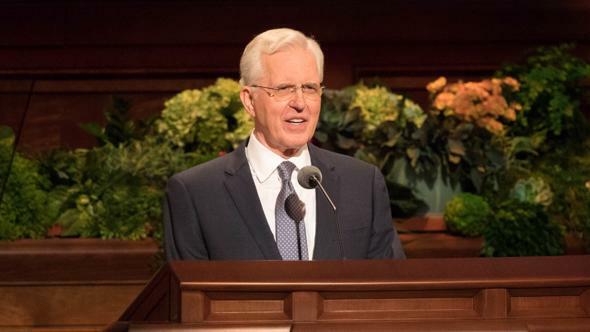 As I have searched for God’s wisdom in dealing with my own challenges, always as I have tried the “virtue of the word of God” (Alma 31:5), I have felt inspired and enabled to make wise decisions, overcome temptations, and bless my life with increased faith in Christ and love for those around me. 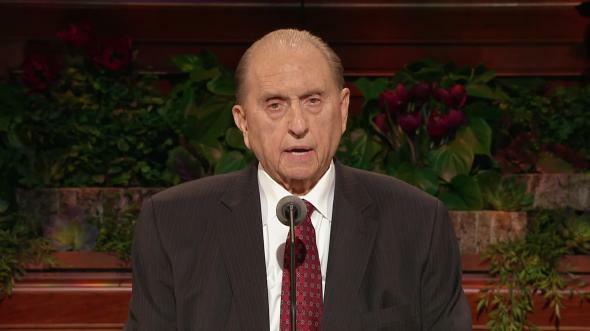 Our prophet, Russell M. Nelson, has taught us that “in coming days, it will not be possible to survive spiritually without the guiding, directing, comforting, and constant influence of the Holy Ghost” (“Revelation for the Church, Revelation for Our Lives,” 96). Needed revelation will come as we try the “virtue of the word,” and that word will be more powerful than anything else we could try or imagine. Second, when we struggle with our own identity and lack of self-esteem, the “pleasing word of God” (Jacob 2:8) in the scriptures will help us know who we really are and give us strength beyond our own. Recognizing my identity as God’s child was one of the sweetest moments I have ever experienced. In my early teenage years, I did not know anything about the teachings of the Savior. When I first read the New Testament, the words of Christ truly healed my wounded soul. I realized I was not alone and that I am a child of God. As I recognized my true identity before God, I realized my infinite potential through Christ’s Atonement. Enos likewise shared his personal experience of the enlightenment that comes from contemplating the words of Christ. As Enos let the words that his father taught him regarding “eternal life, and the joy of the saints, [sink] deep into [his] heart,” his soul “hungered; and [he] kneeled down before [his] Maker … in mighty prayer” (Enos 1:3–4). In that prayer he came to know the Savior and learned that we have great worth, are loved and can be forgiven of our mistakes, and are truly children of God. Third, we can lift the lives of others through the words of Christ. Just as Enos had his own time and place where the words of Christ touched his heart, the Lord will do His part to touch the hearts of those with whom we wish to share the gospel. Many of us may have felt discouraged when we tried to invite someone to hear the gospel because our desired result did not follow. Regardless of the outcome, the Lord invites us to open our mouth and share the gospel message with others. Two years ago, the Lord touched my dear mother’s heart, which helped her decide to receive the ordinance of baptism. I had waited for that day to take place for almost 35 years. In order for her to make that decision, many members of the Church truly ministered to her as Christ would. One Sunday, she felt she should go to church. She followed the prompting. While she sat on the front row and waited for the sacrament service to begin, a four-year-old boy stood in front of her and looked at her. She greeted him with a smile. The little boy left her presence abruptly and walked back to his own seat, which was on the other side of the row where my mother was seated. This little boy picked up something from his seat and came back and handed my mother a hymnbook and walked back to his seat. My mother noticed a hymnbook was placed on every other chair in the chapel. She could have easily picked one up from the chair next to her. However, she was very impressed with the boy’s innocent act of kindness, which he had learned in his home and at church. It was a tender moment for her. She had a strong impression that God was inviting her to come and follow the Savior. She felt she should be baptized. This little boy did not seek recognition for what he did, but he simply did his best to live the word of God and to love his neighbor. His kindness created an important change of heart in my mother. The words of Christ will profoundly touch hearts and open the eyes of those who do not yet see Him. On the road to Emmaus, two disciples walked with Jesus. They were sad and did not comprehend that the Savior had triumphed over death. In their grief, they did not recognize that the living Christ was walking with them. Though Jesus “expounded unto them in all the scriptures the things concerning himself,” they still did not recognize Him as the resurrected Savior until they sat and broke bread with Him. Then did their “eyes” open. As we—or our friends, associates, and neighbors—feast and break bread with Him, our eyes of understanding will open. When the disciples at Emmaus reflected on their time with the resurrected Savior, they said that their hearts burned within them while He opened the scriptures to them (see Luke 24:27–32). This will be true for all of us. In conclusion, I bear testimony that feasting upon the words of Christ can happen at any time and on any occasion if we prepare our hearts to receive them. Feasting upon the words of Christ will bring life-sustaining revelation, reaffirm our true identity and worth before God as His child, and lead our friends unto Christ and everlasting life. 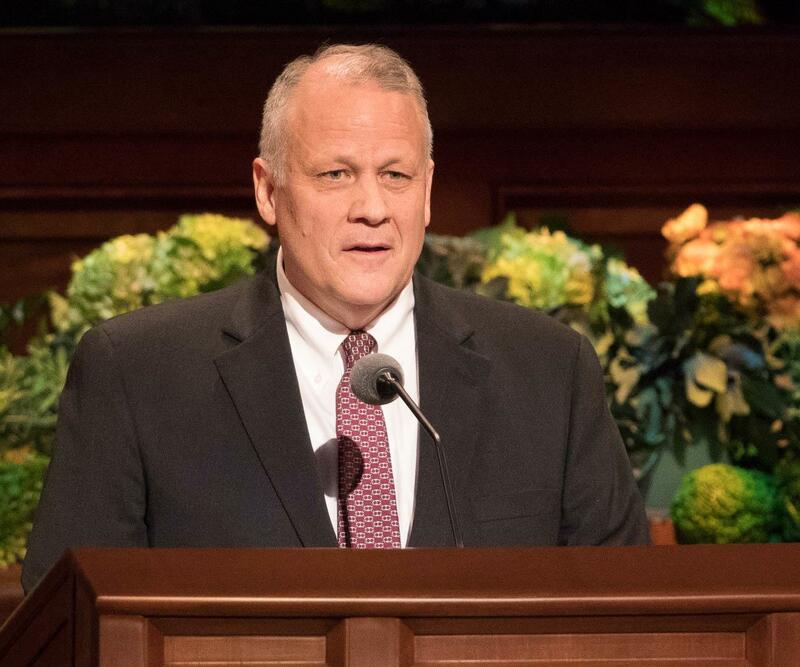 Let me end by echoing the invitation of Nephi when he said: “Ye must press forward with a steadfastness in Christ, having a perfect brightness of hope, and a love of God and of all men. Wherefore, if ye shall press forward, feasting upon the word of Christ, and endure to the end, behold, thus saith the Father: Ye shall have eternal life” (2 Nephi 31:20). In the name of Jesus Christ, amen.